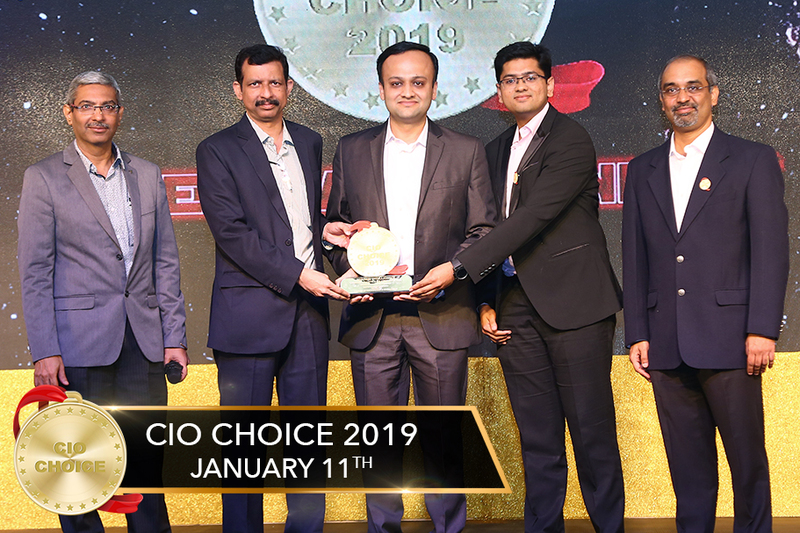 Mumbai, India – January 11, 2019 – vPhrase has been conferred the CIO CHOICE 2019 Honour and Recognition as the most preferred brand in the Business Intelligence category at the CIO Choice event organised by CORE Media and attended by over 300 ICT leaders. The recognition is bestowed on the basis of pan-India independent voting by CIOs with a distinguished Advisory Panel, comprising of CIOs from across verticals, that guides the entire process, with KPMG as the Knowledge Partner. vPhrase Analytics Solutions’ AI platform is used by companies like Unilever, HDFC Bank, Abbott, Sony Entertainment, Kotak Bank, ICICI Lombard Insurance and Motilal Oswal Securities. The platform summarises data into a few bullet points. It makes reports easier to understand by giving actionable insights in words, helping managers take data-driven decisions. vPhrase’s platform uses its novel technology to automate and add value to performance reports, customer statements and financial reports, to name a few. In the last one year vPhrase has launched a bunch of new products on top of its AI platform, out of which one acts a narrative plugin on top of modern BI platforms like Tableau, Qlik and Power BI, other creates insightful videos and another one is a smart data exploration tool with Natural Language Generation capabilities. Recently, vPhrase was also awarded the title of The Most Innovative FinTech by IFTA (India Fintech Awards). Business intelligence focuses on leveraging data processing and consolidation to retrieve information for decision making. For many companies, new technologies are causing data overload, leaving decision makers overwhelmed with inadequate, incorrect, inconsistent and misleading information and hence the use of Business Intelligence platforms has become profound. According to Markets and Markets, the market for Business Intelligence is said to touch 27 Billion by 2021. Augmented Analytics provided by vendors like vPhrase adds to the capabilities of traditional BI platforms and is in great demand.